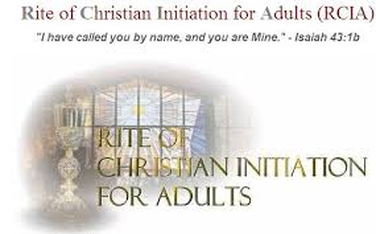 The Rite of Christian Initiation of Adults (RCIA) is a communal process of spiritual and educational formation for those who seek to become full members of the Roman Catholic Church, through a conversion of mind and heart. The process is open to all persons, regardless of religious background or philosophical persuasion, who genuinely seek, by God's grace, to live their lives in the distinctive Catholic Christian faith. Classes are on Tuesday evenings. If you would like to begin this process, please contact the Parish office at 404.275.2240 to make an appointment with one of our Priests.